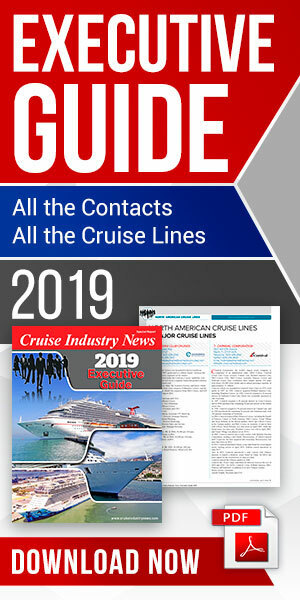 “Imagine if you have 10 to 15 ships in the Caribbean and a hurricane is coming, but you do not know what the storm track will be, and you need to avoid having the ships managing themselves in an uncoordinated fashion,” said Andy Paul, senior director, special projects, corporate maritime quality assurance for Carnival Corporation. “That’s where the Fleet Operations Center (FOC) steps in and takes on a leadership role with good situational awareness and a coordinated approach. “Also, if you need to medevac someone, the FOC works out all the details, course and speed corrections if needed, instead of squeezing the onboard resources, which can instead concentrate on getting the person safely off the ship,” he added. In addition, the FOCs (there are three) collect data from the ships for analysis on route effectiveness, fuel efficiency and more. The FOCs are the result of a collaborative effort across the corporation with David Christie, senior vice president, maritime quality assurance, being the lead executive, Paul explained. Christie founded Carnival’s Quality Maritime Assurance department in 2013 in order to deliver a series of initiatives to reduce the company’s maritime risk. These also include the CSMART training and simulator facility in the Netherlands, the fleet captain and fleet chief program, the global HESS system, and Neptune, collecting shipboard data better for safety, efficiency and energy consumption, as well as GLADIS, a global learning and development program. Another key contributor to the creation of the FOCs has been Franco Caraffi, technology product director, Carnival Europe-Asia Technology. Three fleet operations centers are covering the globe for Carnival Corporation’s brands and fleet of more than 100 ships 24/7/365. The Hamburg-based FOC covers the Carnival UK, AIDA and Costa brands, as well as Costa Asia. The Seattle center looks after Carnival Australia, Holland America, Princess and Seabourn, while the latest addition in Miami looks after Carnival Cruise Line. The FOCs are manned by two watch-keepers at all times with a minimum background of a chief mate’s watch ticket, according to Paul. They are from the military, Coast Guard and officers from the Carnival fleet.